Lily is one of the prettiest flower among many other. 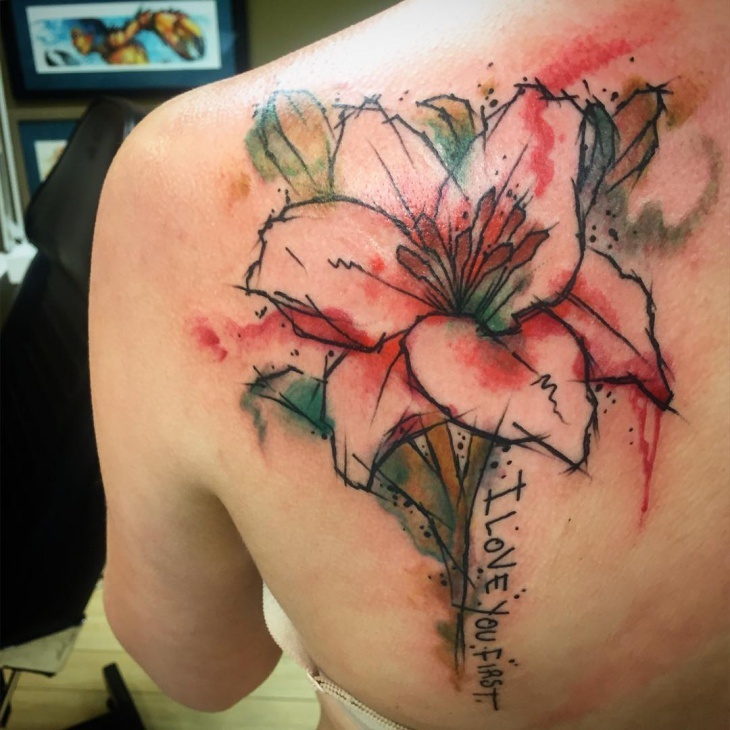 Imagine getting a tattoo that has lilies. 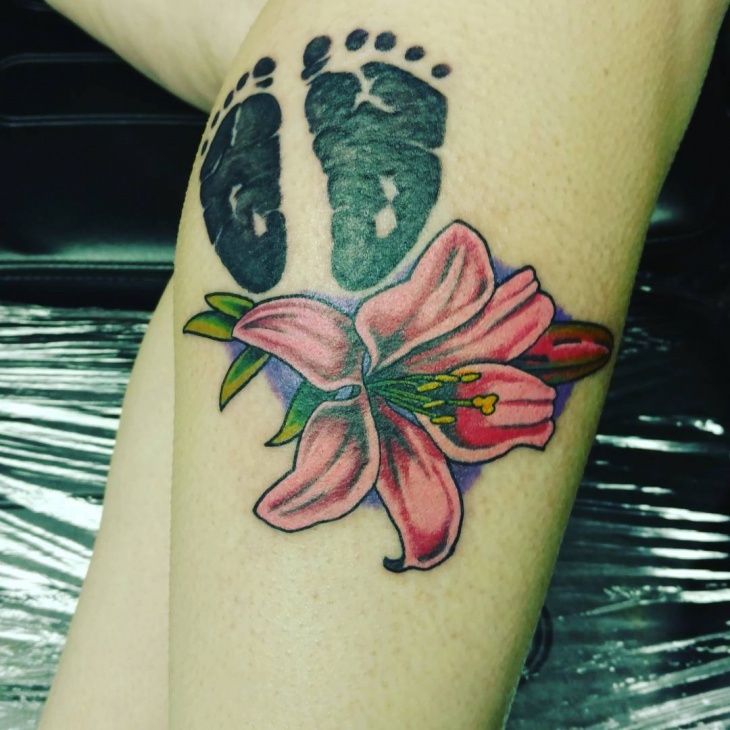 We went through social media to find 10 beautiful lily tattoos that we could recommend to you and here they are. 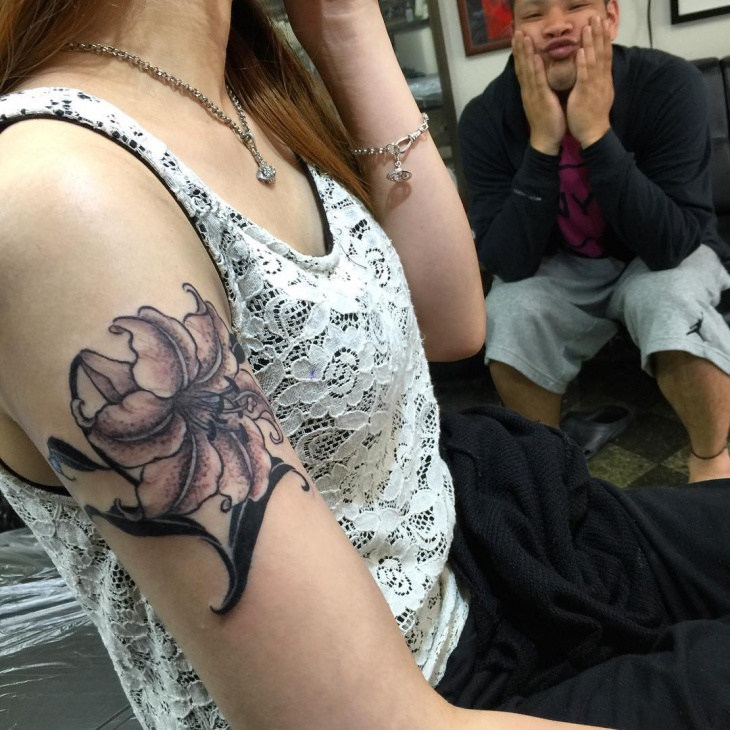 We love Emma Stone and her tattoo too. It is plain, simple and nice. We would recommend this to anyone who loves something so nice. It is not even done in proper shape or not much shading but it still looks visually appealing. 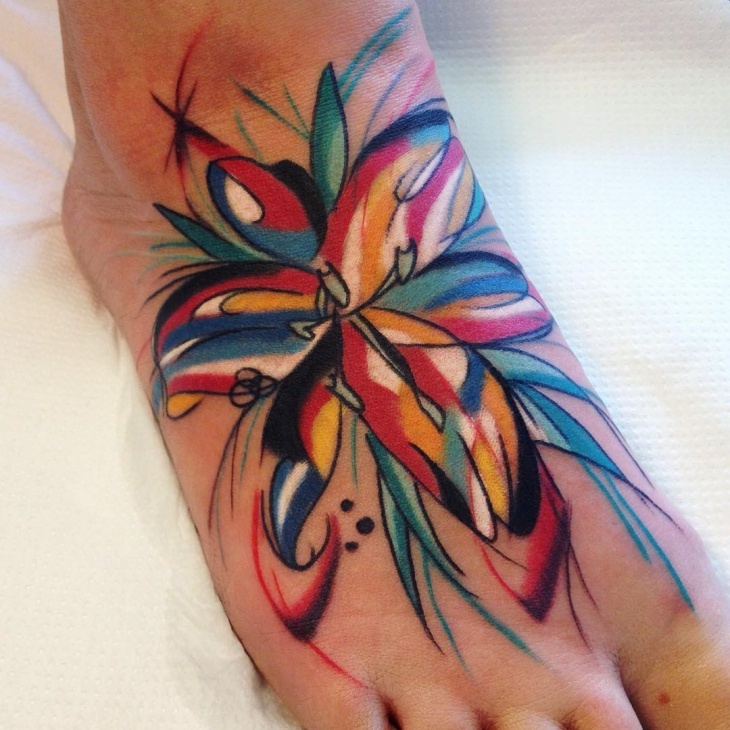 You can be funky yet girly with a tattoo like this. 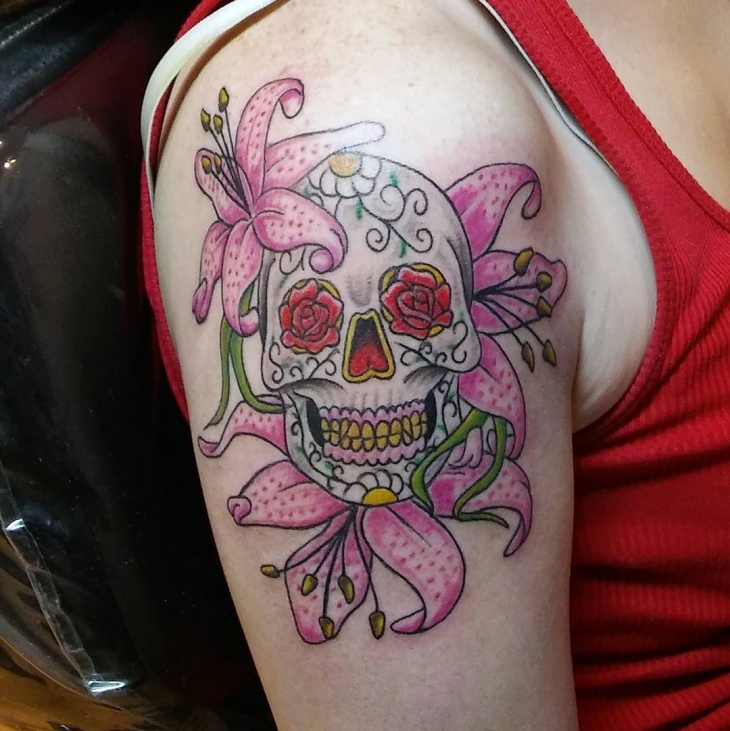 A skull with lilies and the coloring done in pink is perfect for someone who is getting a big tattoo. It is funky because the skulls also have flowers in them. This is something different from what we see everyday. God will always with be with you even if it is in the form of a flower. 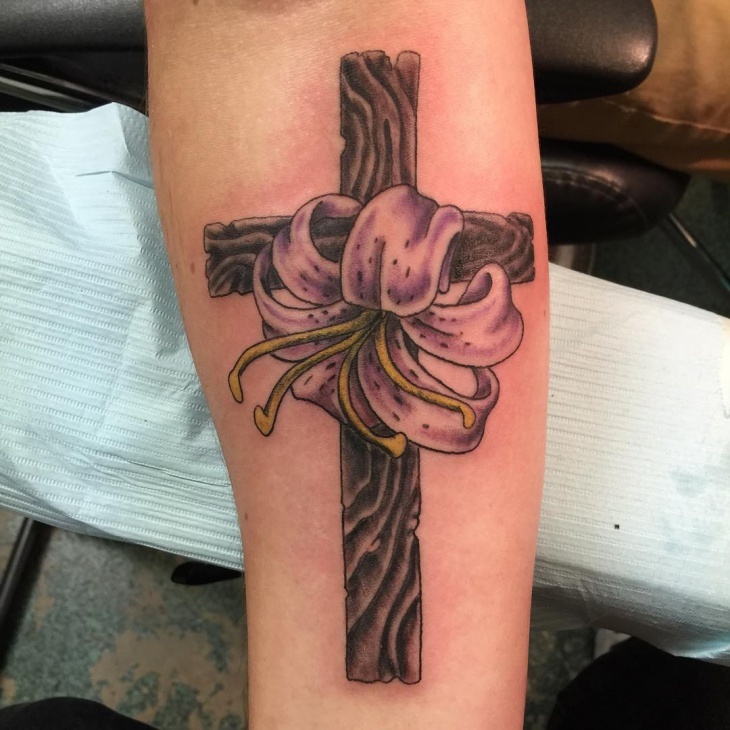 This combination of flower and cross is the perfect tattoo to get for someone who believes in God and wants it to be on those lines with a pretty flower to make it look artistic. 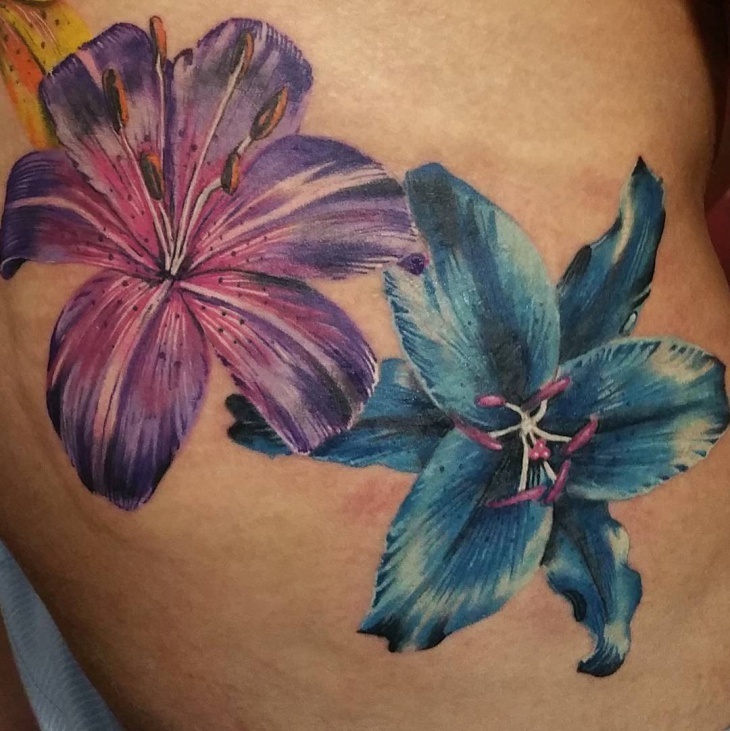 Flowers are always pretty but this one with the perfect coloring of purple and blue makes it look so gorgeous. 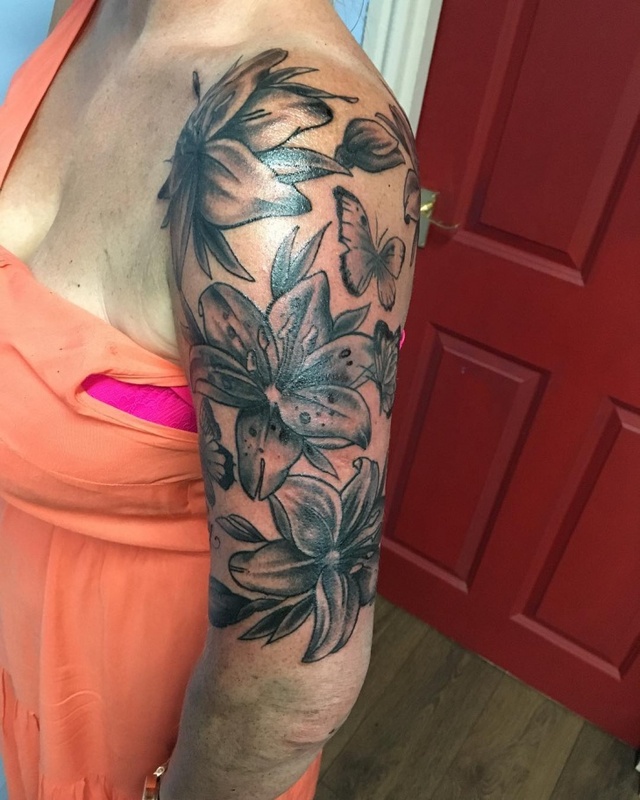 The shading is done so accurately with the stigma and pollens drawn to perfection. 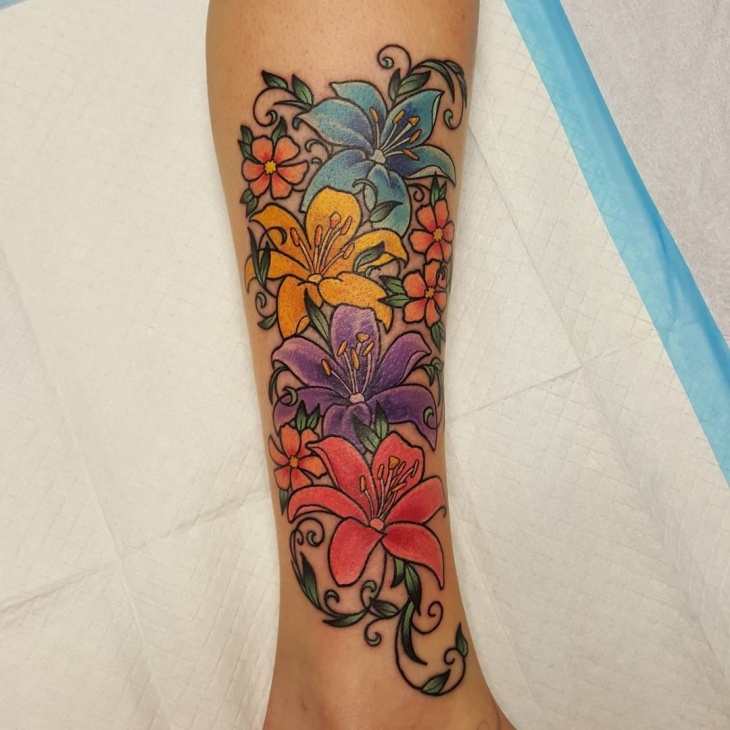 We love every bit of this and would recommend it to someone who loves colour. 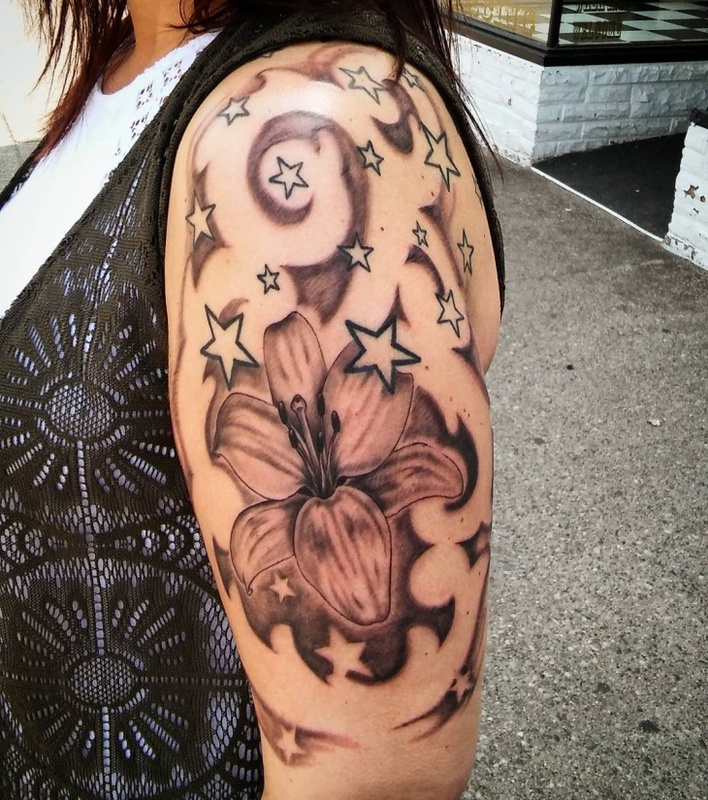 Butterflies love flowers and this tattoo shows it all. 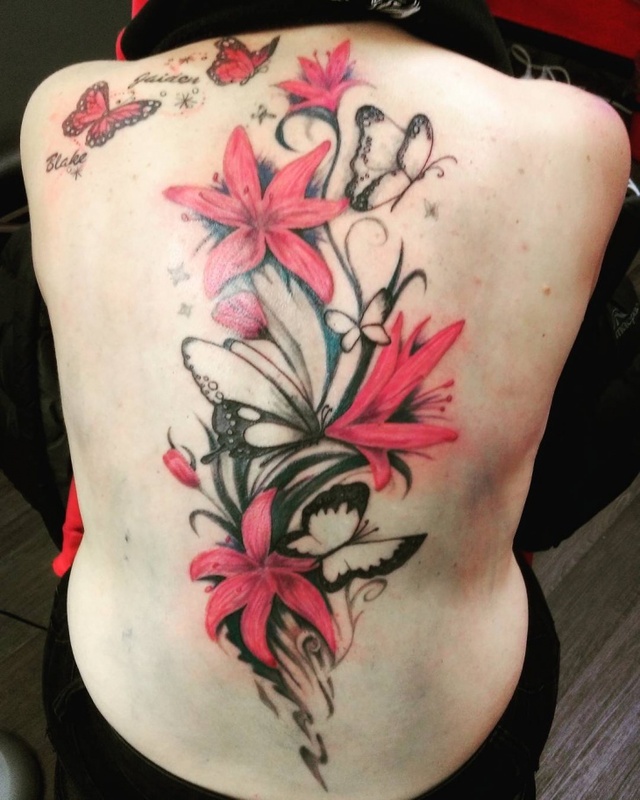 There are pretty flowers drawn all over and butterflies floating all over them. 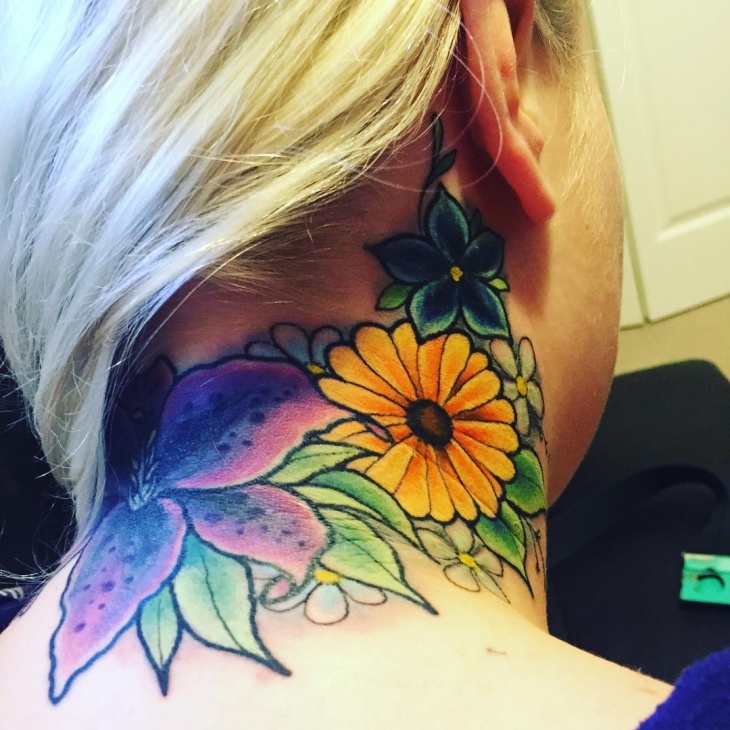 The shading is done so nicely and the over all tattoo looks like a garden. Do you love art as much as we do? Then this one has got to be for you. 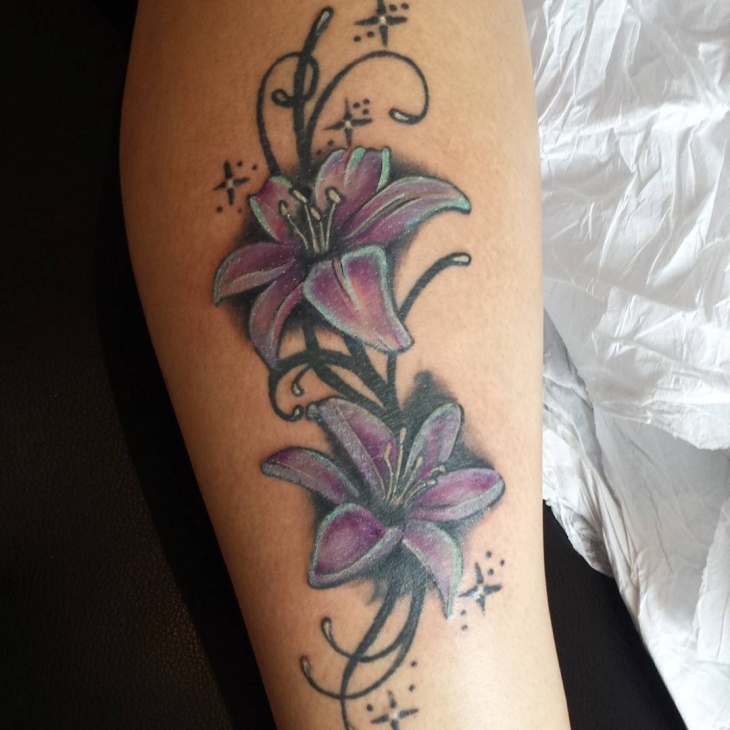 A simple lily design with a splash of colors all on it is done so artistically and at the same time looks very elegant. 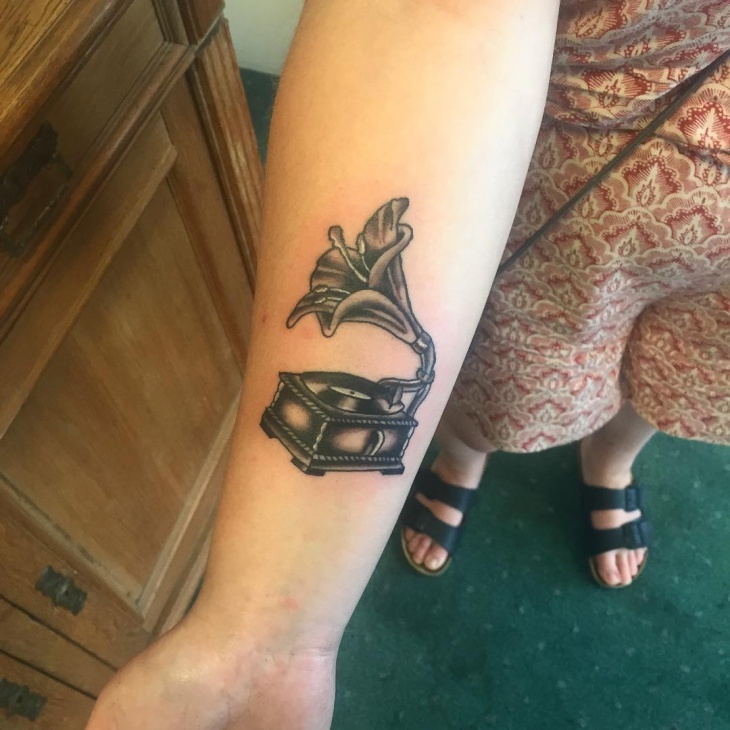 We love it; we absolutely love it and would definitely recommend it to you. We can’t stop looking at the picture. Also, we have only one word on our minds for this and that would be, exquisite. 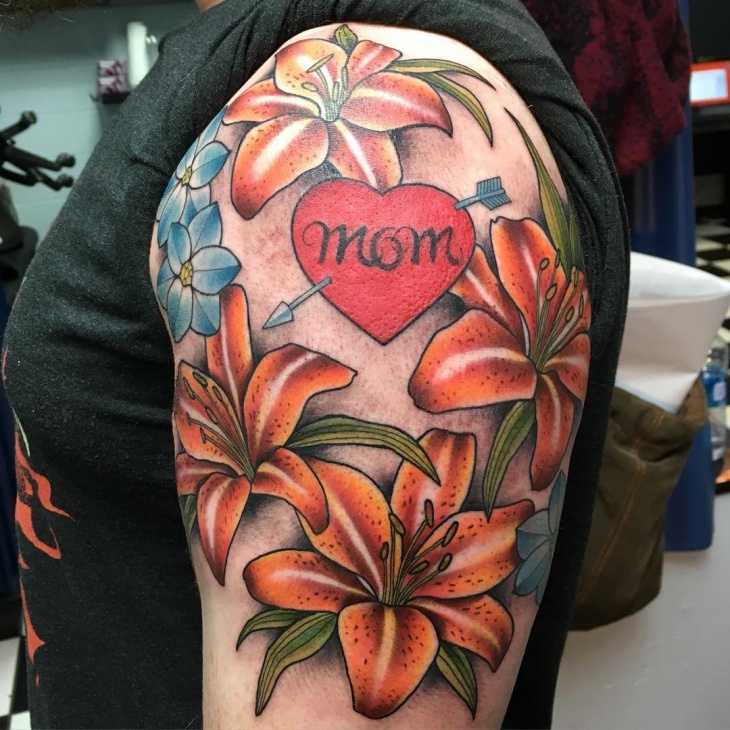 There is so much detailed work done onto the tattoo that you would end up looking into every part of it and not just the main part. Shading done to perfection and it being over all black makes it look even more perfect. We are getting to understand the whole art of designing better now. 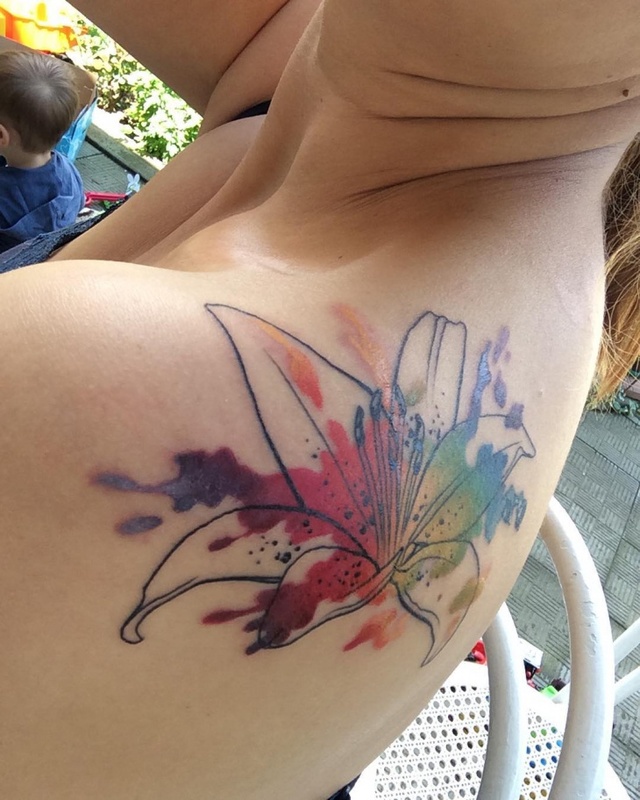 This roughly drawn lily with a splash of colours makes it look like a very rough design but a very unique one too. 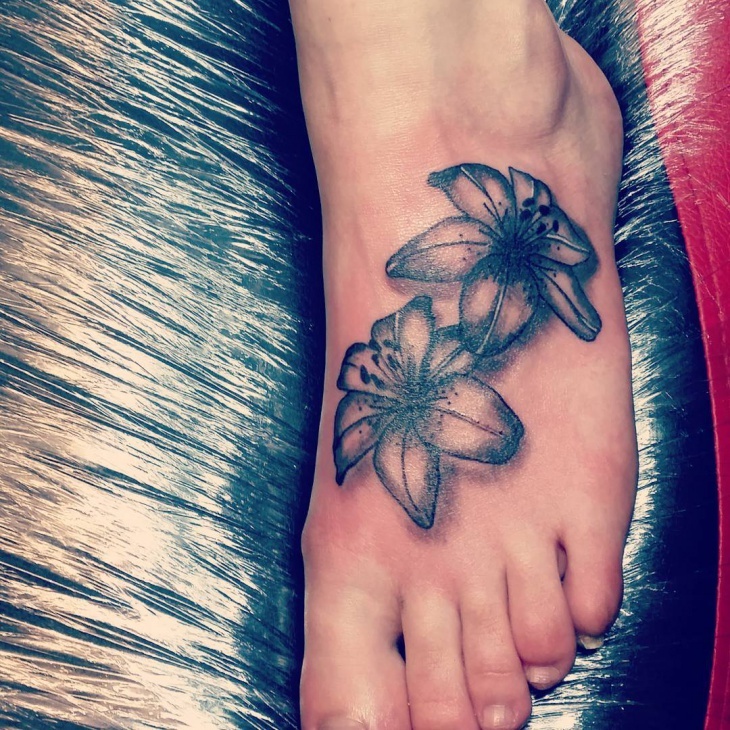 Show the world your pretty feet by making it look even prettier with these beautifully designed lilies. 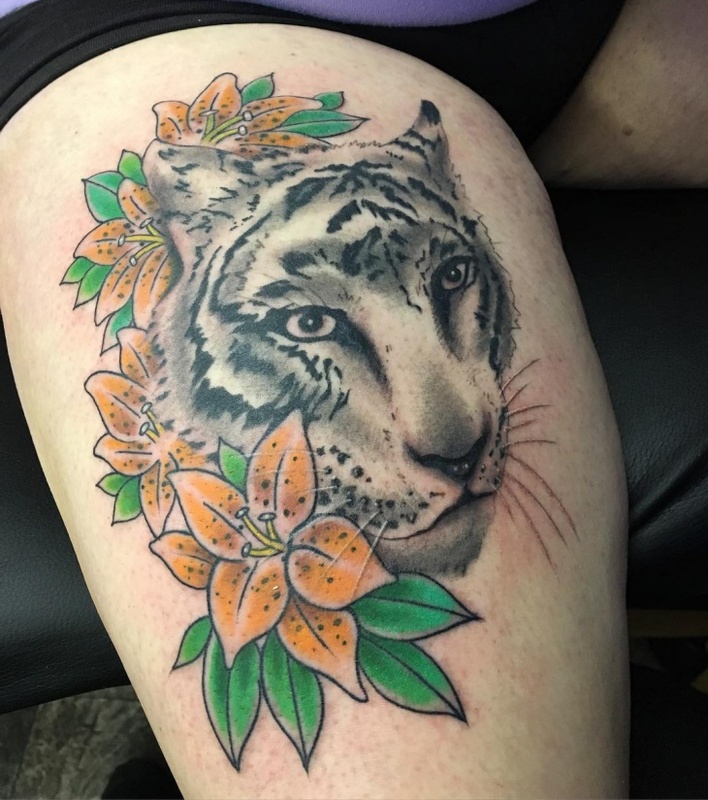 It is so well drawn and shaded and will make you stand out in the crowd for sure. We save the best for the last. Looking for a very simple yet opulent design then this has got to be the one for you. 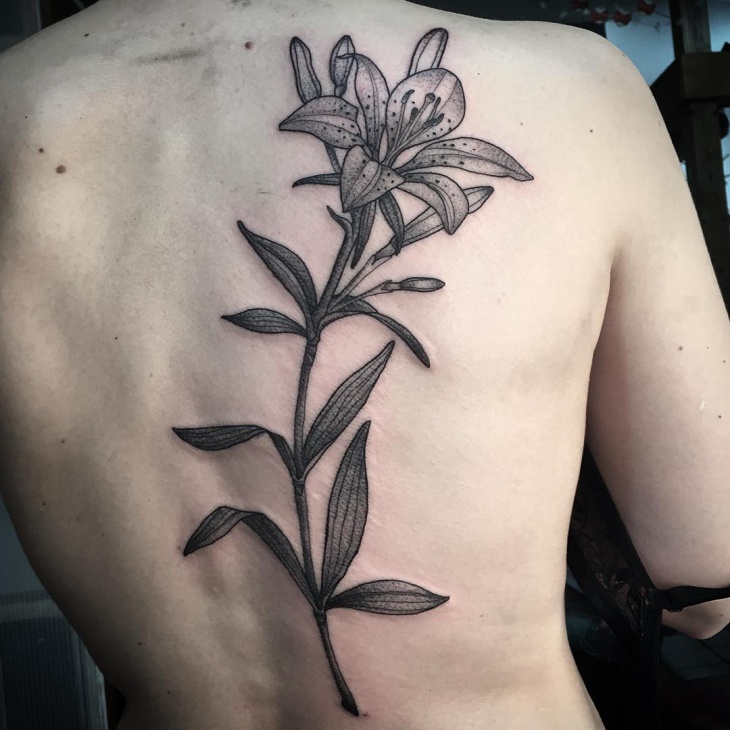 It is a lily plant that is drawn out so well and kept it very minimalistic. We love every bit of these designs and we think you will love them too. 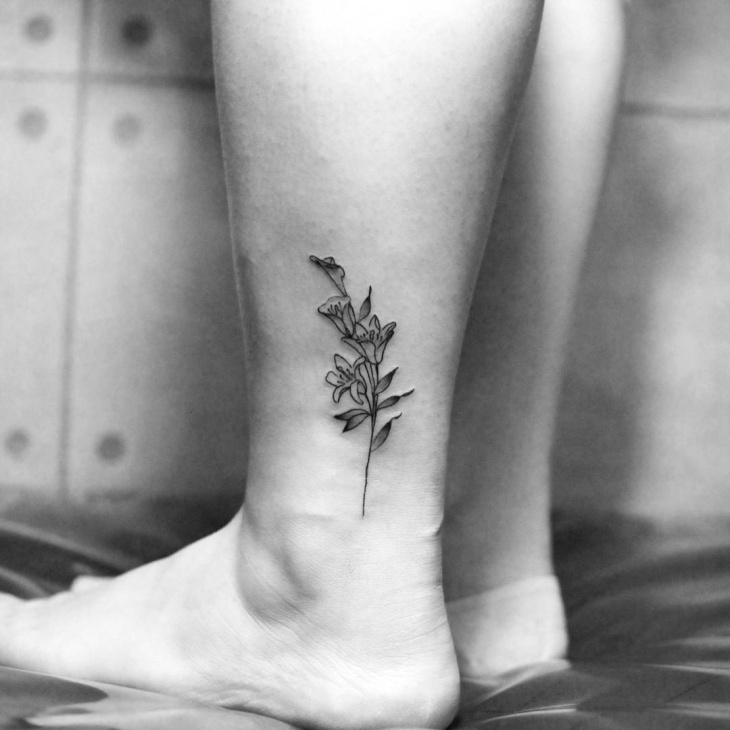 They are simple yet look smart and will definitely get heads turning to look at the beauty of these tattoos.